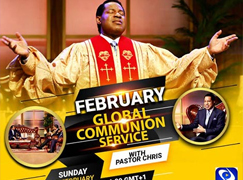 Pastor Chris prays for Families around the World. 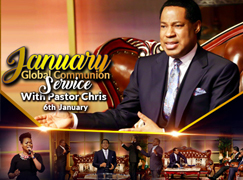 The first Global Communion Service with Pastor Chris in 'the Year of the Supernatural' commenced with prayer, worship and inspiring praise reports from around the world on the impact of the prophetic message of the year. 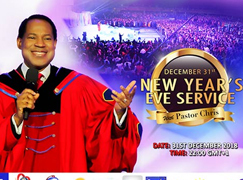 Since the December 31st New Year's Eve Service, millions around the world have anticipated a special moment of Heavenly intervention in their families through the special 'Pastor Chris Prays for Your Family 2018' program. 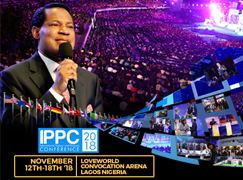 The man of God, having been welcomed to the stage with CSO's new song 'Holy Spirit', immediately began to lead the global congregation in prayer as millions of names of family members scrolled on the screen at the altar. 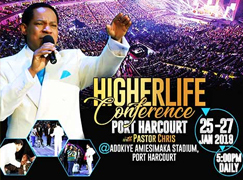 "Your families have become the headquarters of Holy Ghost operations," the BLW President declared prophetically as he prayed with the brethren. 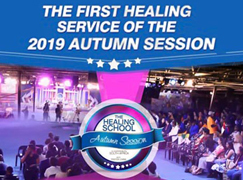 Several inspiring words of knowledge for the healing, restoration and salvation of family members were uttered. 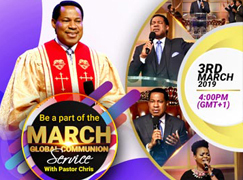 There is sure to be a performance of every decree with powerful testimonies to follow. 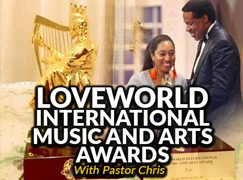 Prior to this special moment, a special talkshow segment with the highly esteemed CEO, Pastor Deola Philips, and the Director of Programs, Pastor Lanre Alabi, informed the global audience concerning the upcoming 'Your LoveWorld' telethon. 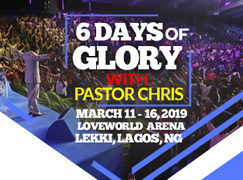 From January 14th to 19th, the man of God, Pastor Chris, will be hosting Pastor Benny Hinn and several other inspiring ministers, in Lagos, broadcasting to all LoveWorld stations.